From the attic to the crawlspace, we inspect the whole home and property. Committed to providing the best inspection services with the best prices. 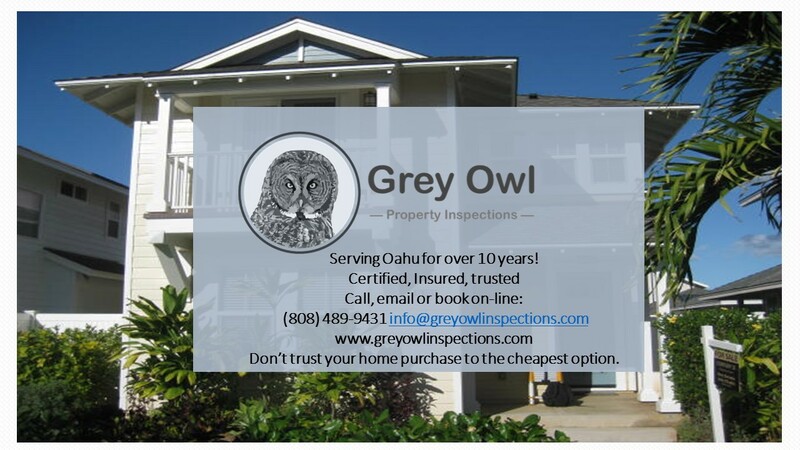 Agents love Grey Owl Inspections because we make your job easier. FLIR or Forward Looking Infrared, although trendy with home inspectors all over, does have limitations in paradise. FLIR is a camera that gives you a photo of temperature differences. That’s it. It is not a camera that allows an inspector to see through walls or look into the future. It is simply a verification tool. A well trained inspector will see the signs of moisture issues or electrical heating issues without the use of a FLIR. In Hawaii, where houses are generally not sealed, heating systems are non-existent and AC systems are few and far between, the use of FLIR is limited. The temp difference from outside to inside is seldom drastic. However, Grey Owl Inspections does utilize FLIR as a verification tool and complementary for all inspections. 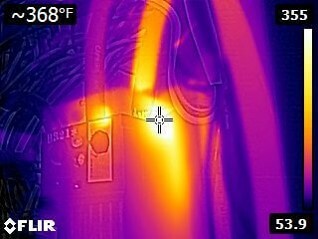 FLIR can show us how hot a breaker and at times show a recent leak that might not be visible. 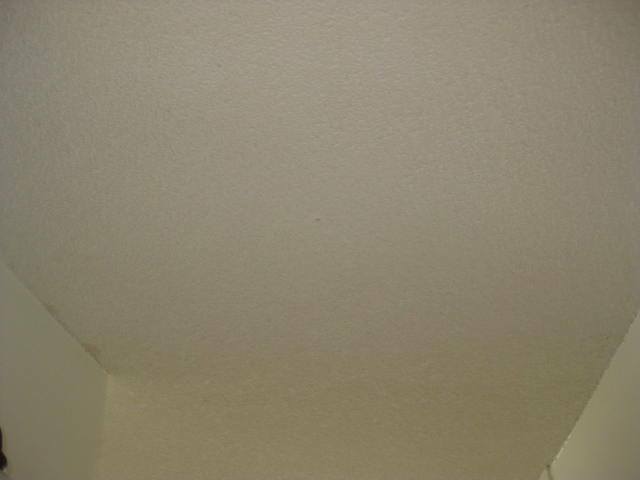 The attached photos show a overheating breaker and a recent shower leak that was under the carpet. Determining the right price for a home inspector? As you have probably seen, home inspectors have all kinds of deals to attract your attention and business. However, home inspectors who have been around over 5 years are generally the ones who have made it or at least doing something right. Generally, those who have made it are basically the same, look at the same things, make the same recommendations and have the same background, experience and certifications. So, as a consumer, it comes down to price – how much am I willing to pay? I can say that simply finding the cheapest home inspector is either a inspector who is new to this industry ( under 5 years) or has been doing unprofessional or sloppy work and forced to undercut those companies who have been conducting quality home inspections. I would caution consumers in choosing the cheapest option. Like most things, you get what you pay for. This could be the largest investment you and your family are likely to make, don’t trust it to the cheapest option. Whats the deal with Aluminum wiring? Between approximately 1965 and 1973, single-strand (solid) aluminum wiring was sometimes substituted for copper branch-circuit wiring in residential electrical systems due to the sudden escalating price of copper. In brief, these materials were banned in the late 1970’s due to problematic nationwide history, including arcing, shorts, and fires. Installer errors, device incompatibilities, and material behavior all contribute to the problems. Stranded aluminum is still used for larger circuits, such as for ranges and service entrance cable. The problem is often compounded over the years by electricians who attempt to “mitigate the risk” but who in fact increase the risk due to improperly executed updates or materials. At a bare minimum, have a licensed electrician (who is proficient in this material and its related concerns) evaluate all areas- including all distribution panel connections, all junction boxes (including the attic), all fixture locations including lights, switches and outlets, making any necessary corrections or updates (such as CO/ALR designated devices and proper copalum aluminum type wire nuts) to better guarantee occupant safety. Nicked solid core aluminum conductors must be reworked. Additionally, I recommend annual spot checks for the home’s electrical system if the aluminum is not deleted and replaced. DO NOT allow any unlicensed, uninsured, or unsupervised individuals to touch the system. Note: Pig-tailing aluminum to copper (a common “update” used by some local electricians) is highly discouraged. This can overcrowd boxes, and, incorrect wire nuts are almost always used which increases the risk of problems. Consult a qualified, licensed and insured electrician only. Any and all “updates” should be clearly documented in writing, on a licensed and insured electrician’s invoice; otherwise they may be unreliable, inferior, and potentially unsafe. Related verbal conveyances of work performed have no value whatsoever and should be considered worthless until verified by a licensed electrician. Radon is a colorless, odorless, cancer-causing radioactive gas. It forms naturally from the decay (breaking down) of radioactive elements, such as uranium, which are found in different amounts in soil and rock throughout the world. 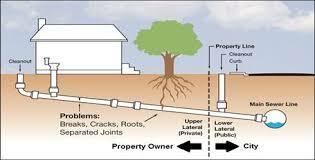 Radon gas in the soil and rock can move into the air and into underground water and surface water. In many parts of the country, radon emanates from concrete so can be especially prevalent in condos. Radon can also move from the ground to upper floors of condos via elevator shafts and stairwells. This causes troublesome problems for condo owners and associations. To put your mind at ease, radon gas is generally not a problem for most of Hawaii for a few reasons. The uranium content of Hawaiian rocks is low. Most of rocks near the surface in Hawaii are relatively porous. Homes and condos in Hawaii are typically well-ventilated. Without a lengthy scientific explanation, these are the key reasons it is difficult to find high levels of radon for most locales in Hawaii. This doesn’t mean, however, that elevated levels can’t occur here. Don Thomas, a University of Hawaii researcher who specializes in environmental radon measurements, reports that elevated radon does occur in the groundwater of some areas on the older Hawaiian islands (Kauai and Oahu) but even this is not high enough to accumulate in homes to dangerous levels. Even in radon enriched geothermal waters, like those near the volcano on the Big Island, the groundwater remains relatively normal. This is because the permeability of the subsurface rocks on the rift zone are so much higher than the soils here, allowing air infiltration and exchange to dilute the radon. Where radon does occur in Hawaii, levels are not high enough to pose a health risk. Whew, one thing not to worry about! 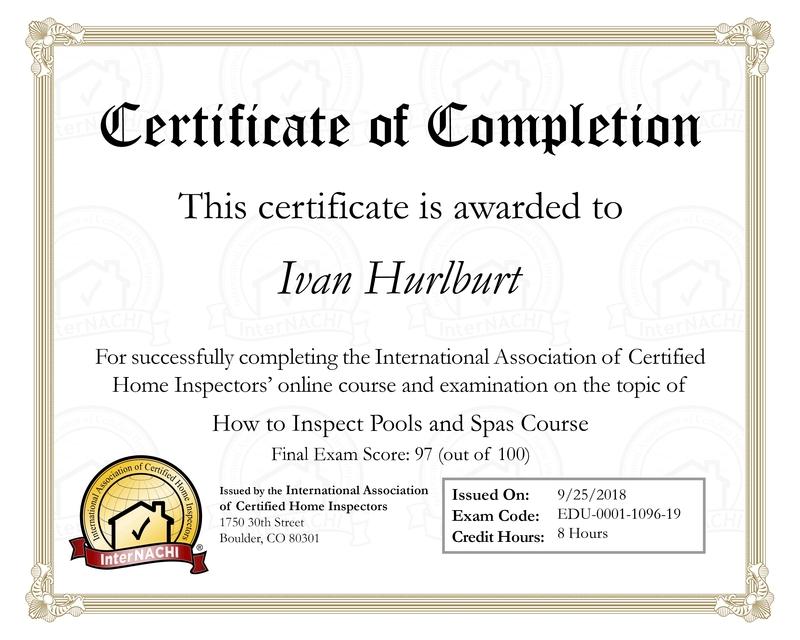 Although Hawaii does not require a license or have any state regulation or oversight, a good home inspector will come armed with his or her own certifications, experience or professional associations. Checking up on those qualifications is typically very simple as they are generally transparent at the corresponding websites such as interNACHI or ASHI (Which are the two largest). The bad home inspectors will simply not last as it can be a tough and competitive industry and those bad apples just get weeded out. You can always inquire or check how long the company has been in business through the Better Business Bureau (BBB) or if the company is in good standing with the state as they should be a LLC or S-corps entity. Additionally, any good home inspector will have insurance, Error and admissions and general liability. How long have you been doing this? Newer inspectors can do a good job, but you probably don’t want to be an inspector’s first client! How much do you charge? Grey Owl Property Inspections cautions that if someone is asking significantly less than other candidates, that could be a red flag. How long will the inspection take? The answer will be a ballpark figure, but if an inspector quotes you just an hour for a 100-year-old house, you might want to think again. Can I come along on the inspection? The answer to this should always be yes! It’s imperative that you understand the issues in the house, and having the inspector show you in person will always be better than reading a report. Also, most inspectors will point out things to you that aren’t necessarily a problem, but will require maintenance at some point. The inspection is a great opportunity to learn how to take care of your new home, and perhaps to get a punch list of things that will need to be repaired or replaced in your first few years of home ownership. For first-time homeowners especially, this is an incredibly valuable service that you won’t want to miss. 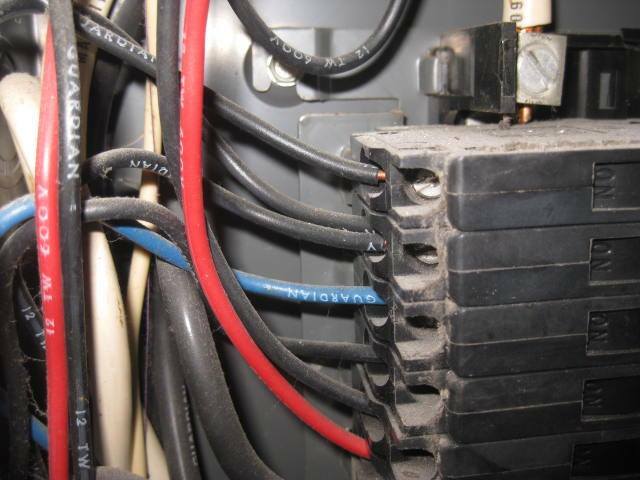 As a home inspector, one of the most common issues we see are double taps in the electrical panel. What is a double tap? A double tapped breaker occurs when two conductors are found connected under one circuit breaker lug or when two conductors are connected at the neutral bar under one screw. The problem with a double tapped breaker is that circuit breakers aren’t designed to hold these two conductors together. The only manufacturers that make circuit breakers that are designed to hold two conductors are Square D and Cutler Hammer… but not all of their circuit breakers can be double tapped. The good news, although double taps are a common defect, they are easy to repair costing around 100 dollars using a qualified electrician. Can you spot the double tap in this photo? Why GFCI? A ground fault circuit interrupter (GFCI), is a type of circuit breaker which shuts off electric power when it senses an imbalance between the outgoing and incoming current. 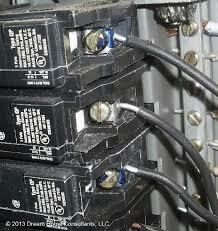 A circuit breaker protects the house wires and receptacles from overheating and possible fire. From the 80’s to the 90′, the requirement was for GFCI outlets near the sinks or within 6 feet of a water source. 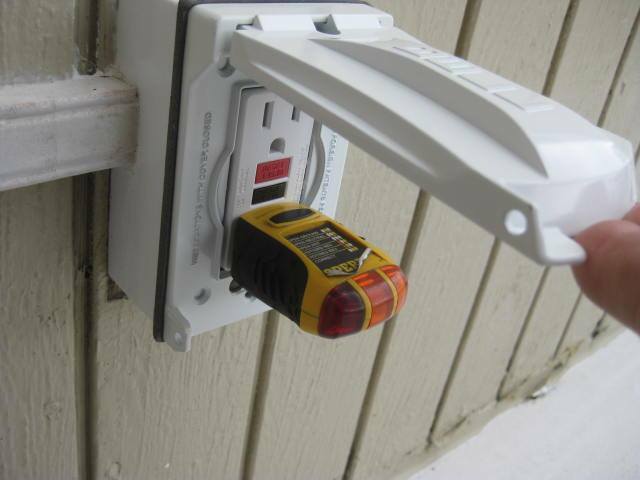 Now all outlets in a kitchen, bathroom, exterior, garage should be GFCI protected. AND – all bedroom outlets have to be GFCI protected, which are little brains in the electrical panel that is sensing if there is a surge or fault in the circuit. True what they say, you can’t take away from safety but you can always add, and they are always adding! What is a clean out? A plumbing cleanout provides a convenient place to access a properties drain pipes to clear clogs and debris. You can remove a cap on the cleanout to supply the needed access. The plumbing codes of most localities require the installation of cleanouts during the plumbing rough-in during building construction. As an inspector I always try to find a clean-out. Most townhomes and condos you will not find them. However, a Single family home should have a clean out. If I cant find one, a plumber should try to locate and install one. Any house built prior to 1990 I generally recommend a scope of the clean out – a plumber puts a camera down the access point to check the main waste line. One of the biggest questions we get is how much will it be to remove the popcorn? That very much depends on if it has asbestos or not. Cost: non asbestos popcorn will cost around 1-2 dollars a sq foot for removal. That cost will jump substantially with asbestos ranging from 3-7 dollars a sq ft depending on who and where you hire.